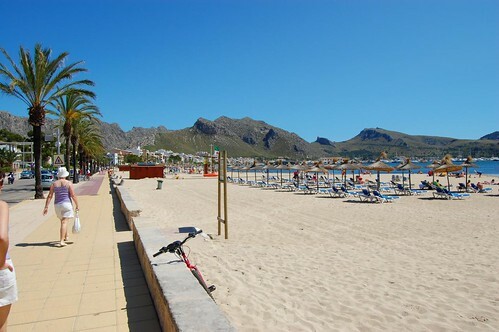 Puerto de Pollensa in Majorca, lies in the north east of this Spanish island, in a bay with a beautiful sandy beach. We spent a few hours here on our recent holiday in Majorca on a day trip from our base at Soller. Although it was mid October, it was pleasantly warm and sunny during our visit. We had a stroll along the prom and then found a bargain 8 Euro three course lunch at La Pascalina Restaurant, which even had a sea view. We ate from the Menu of the Day, I had asparagus salad, an enormous pork chop and ice cream. 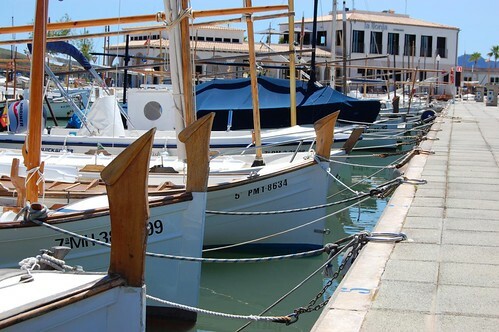 I think that Puerto de Pollensa is good location for a Majorcan holiday, if you’re looking for a peaceful, relaxed time. You can either stay around the town and beach or take a few day trips. The bay is ideal for water sports such as kayaking, snorkeling, sailing and windsurfing. There are several festivals taking place in the town which you could time your holiday around. Festival de Verge falls on the 16th of July and there are fireworks on the Sunday closest to this date. The Fiesta de los Moros y Cristianos follows soon afterwards, on the 2nd of August. 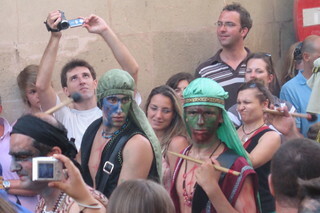 This festival commemorates a battle between the Christians and Moors. The Music Festival focuses on classical music and has been running since 1962. Concerts are staggered throughout July and August. The town of Pollensa, a few miles inland from Puerto de Pollensa, has a Sunday market and a Roman bridge. The are prehistoric caves at the nearby Cala San Vicente. 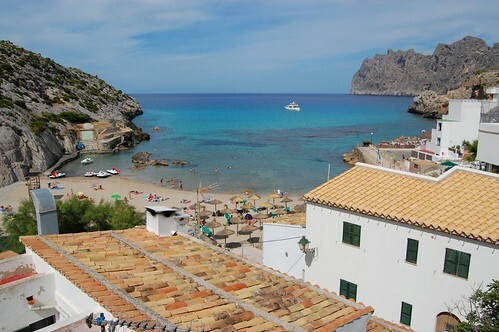 Formentor is located around ten miles north of Puerto de Pollensa at the most northerly point of the island. 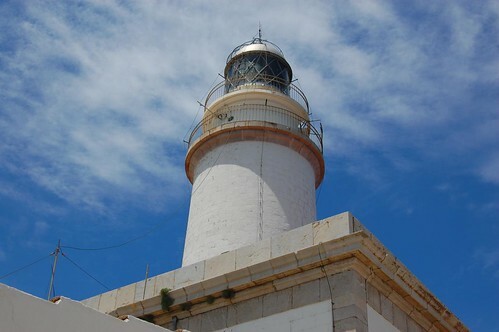 The lighthouse there was built in 1892. You can reach Formentor by service bus or on a boat trip. Alcudia lies a few miles south east of Puerto de Pollensa. Here you’ll find the Hidropark for watery thrills and spills and the Albufera Narional Park. If you’re after some culture, you can visit the Alcudia Museum.